The growing trend of using glass facade and the low thermal resistance of this material, has increased the importance of environmental loads on heat loss through the building’s envelope. In this regards, creating microclimate spaces between buildings acts as a shelter against wind and sun, and thus convective and radiative heat transfer. In this research, computational fluid dynamics microclimate software ENVI-met has been used to consider the relationship between optimum courtyard forms in decreasing the convective heat transfer coefficient (CHTC). A simple linear correlation was used to calculate the hc (W·m−2·K−1) based on the wind speed (WS) near the facade within the courtyard. The outcome of the research reveals that the microclimate of the courtyard, particularly for the strong ambient winds (U10), can diminish the CHTC in comparison with exposed surfaces. Moreover, among various design alternatives, the aspect ratio has a significant impact on WS and CHTC. It was observed that, for U10 = 2.3 (m·s−1), as aspect ratio (H/W) increases from 0.67 to 3.67, the average surface WS, up to the middle floor, on the windward and leeward facade inside the courtyard, located in Hanover, reduces by about 75%. This suggests that an appropriate selection of the courtyard geometry will help passively reduce cooling load and let designers use less thickly insulated walls. Bruse M (2016). ENVI_met. A holistic microclimate model. Available at https://doi.org/www.model.envi-met.com/hg2e/doku.php?id=intro:modelconept. Accessed 1 Sept 2016. IMUK (2016). Weather & Climate > Measurement Data. Available at https://doi.org/www.muk.uni-hannover.de/258.html?&L=1. Accessed 1 Jan 2017. Straube J (2011). BSD-011: Thermal Control in Buildings. Building Science Corporation. 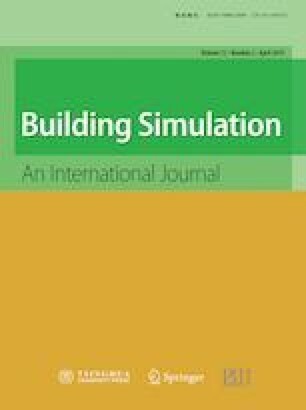 Available at https://doi.org/buildingscience.com/documents/digests/bsd-011-thermal-control-in-buildings.